Eleven more scheduled professional Ultimate games. The AUDL is in the second half of their season. Will Toronto remain undefeated? In the MLU, will Boston ever lose? Betting lines - the spread & points total (Over/Under) - for professional Ultimate are for entertainment purposes only. 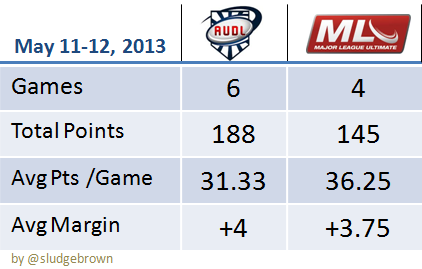 Full 2013 Schedules: AUDL . MLU . Agree or Disagree? Have your say in the comments. Another ten pro ultimate games were played this past weekend. Compare to last week. 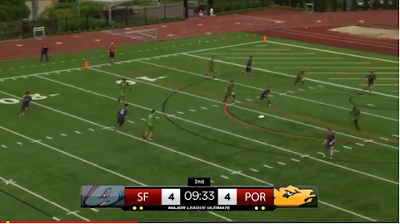 NOTES: AUDL games have 12-minute quarters; MLU games have 10-minute quarters. Spinners Head Coach Maroon wearing an orange band. DC Current was up 4 points at closing seconds of the 4th quarter. DC had possession of the disc as they wound down the clock, moving the disc near the endzone and called an "unusual timeout". After the timeout, DC had a turnover at the cone. Philadelphia then threw the disc to the middle of the field as time ran out. Nick Purifico (PHS) reacted upset after Sean Keegan (DCC) appeared to have pushed him [NOTE: not captured on video]. Purifico then complained to a ref and reacted demonstratively. After the teams shook hands, Purifico again reacted demonstratively toward the refs to the point where Spinners players and the Spinners GM stepped in to restrain him. He eventually walked off the field to the sidelines. As you can see from the video, many players sought out the referees to talk to them after the game. DC Current tweeted there was some orange band awarded to both Keegan & Purifico. Nic Darling (MLU Vice-President) & Ian McClellan (MLU Director of Competition) were both in attendance. Will any further action be taken against coaches &/or any players by this pro Ultimate league? Does this type of shirt cross the line of Ultimate "spirit"? 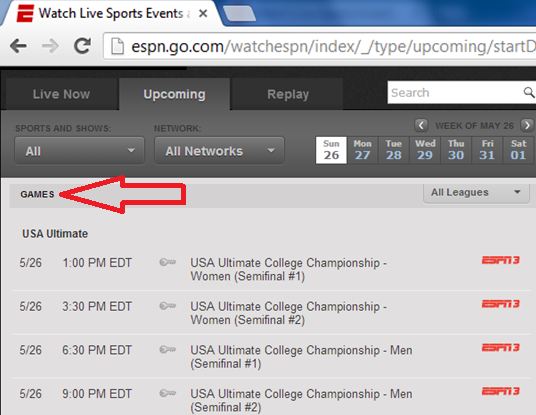 Here's how the listing appears for "USA Ultimate College Championship Highlight Show" for the ESPN U channel. 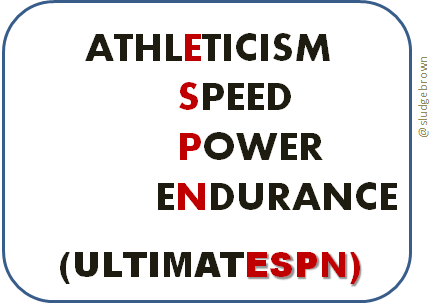 Sunday & Monday games will be shown live on ESPN3 and then re-broadcast on ESPNU on Wednesday (5/29 )& Thursday (5/30). Get your DVR's ready! Info: Combining the non-stop movement and athletic endurance of soccer with the aerial passing skills of football, the transition game is played by two teams with a Frisbee on a field with end zones, similar to football, and players officiate themselves. 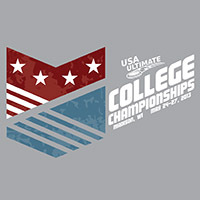 USA Ultimate's 2013 College Championships starts today! There are 6 states with representation of 3 college teams playing at this year's Nationals - California, Florida, Iowa, Massachusetts, Minnesota & Washington. Yes, this chart closely resembles the U-23 tryout map. Eleven total scheduled professional Ultimate games with a lone Friday AUDL match, and a back-to-back for two MLU Eastern conference teams. Interestingly, AlleyCats & Revolution play each other on Saturday AND again on Sunday. 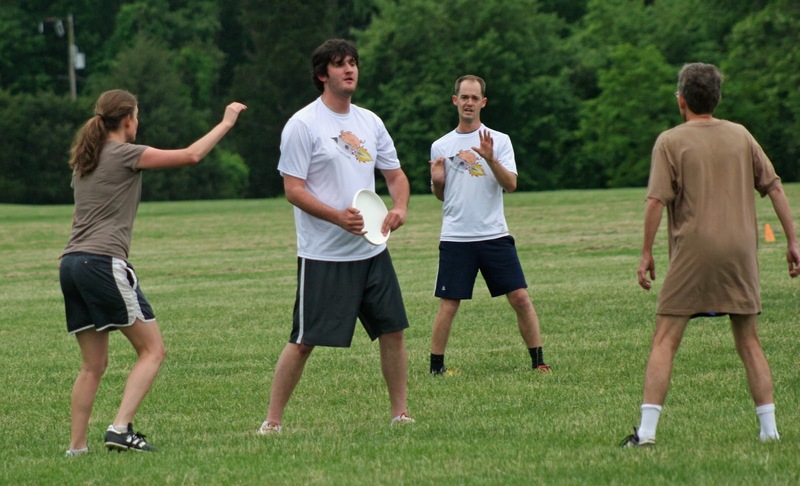 This is the last weekend for any team rosters impacted by the College Ultimate season. Betting lines - the spread & points total (Over/Under) - for professional Ultimate are for entertainment purposes only. The 2013 College National Championships are this weekend! 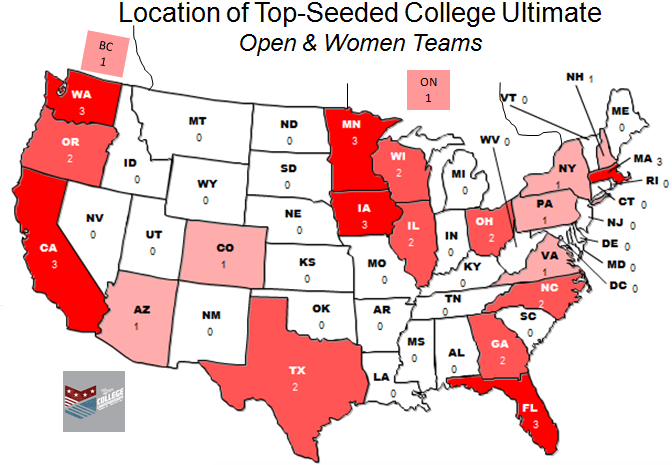 Since April, 700+ college teams have been competing in the USA Ultimate College Championship Series. There are now 20 teams from each division - Open (Men )& Women. Open: Oregon, Wisconsin, North Carolina, Pittsburgh (2012 champion) & Texas. Women: Oregon, Carleton College, Iowa State, Iowa & Tufts. 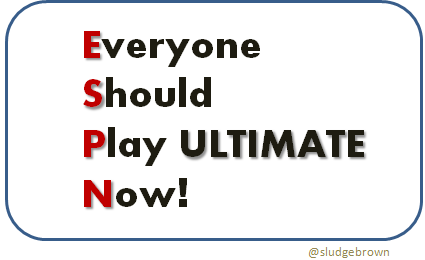 ESPN will be online streaming the live "games" via ESPN3, and then show tape-delayed "games" via ESPNU starting on May 29th. To watch streamed Ultimate games online, you will need your Username & Password to login to your account with your cable/internet provider. 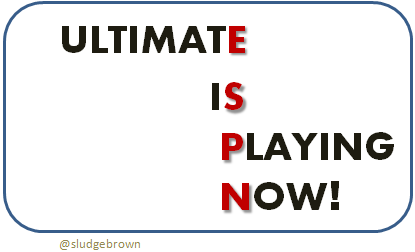 Unless it's a tribute to Jared Kass, I wholeheartedly disagree with ESPN's classification of Ultimate. THIS MUST CHANGE!! All other sports (Lacrosse, Auto Racing, Basketball, Softball) have the name of their sporting activity listed. 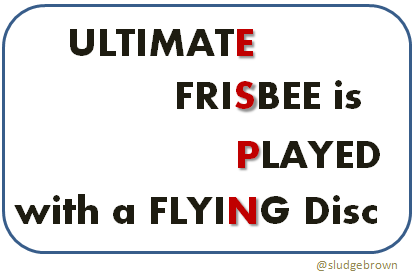 Instead, Ultimate is found under the category of "Games". 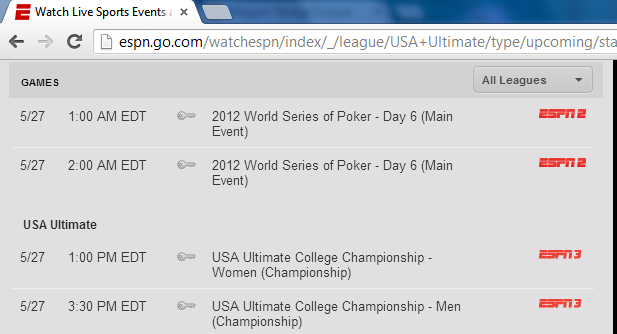 Even worse, on ESPN 3's schedule on May 27th, the USA Ultimate College Championships are listed under the same category as POKER! UPDATED: Listed as "Frisbee" in the cable guide listing. 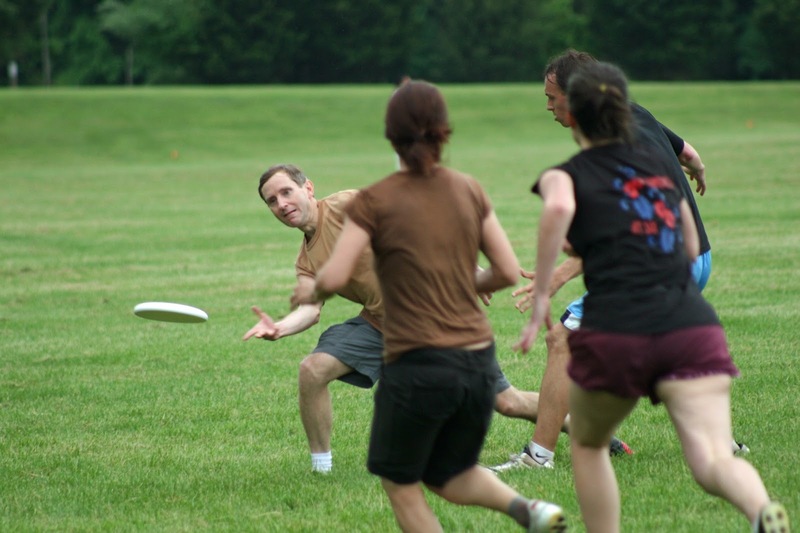 The 2013 USA Ultimate College Championships starts on Friday in Madison, Wisconsin! 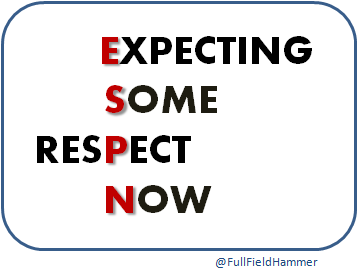 ESPN coverage starts on Sunday, May 26. 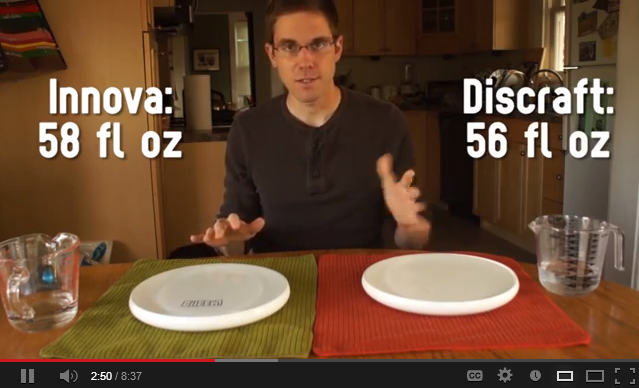 If you don't fancy the traditional Ultimate Frisbee hat, then there's a DIY-version for your very own Frisbee Hat. 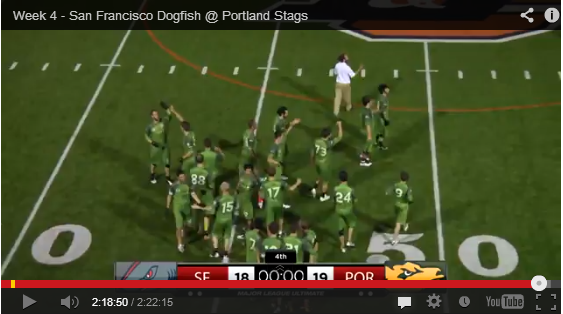 10 points = largest margin of victory in the MLU Western Conference by Dogfish vs Nighthawks. 6 points = AUDL league-low scored by Mechanix in their 6-20 loss vs Wind Chill in their weather-shortened game^. 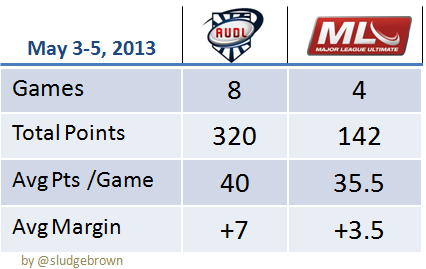 After 38 AUDL games played, home teams are 21-17 (55%). 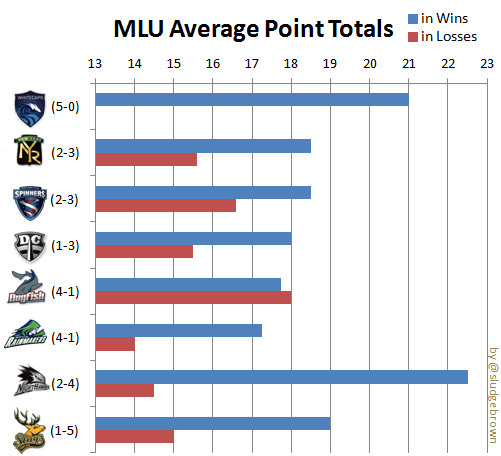 After 21 MLU games played, home teams are 12-9 (57%). After 5 weeks, Major League Ultimate is at their mid-season. There has been one (1) overtime game & one (1) double-overtime game in the 21 games played. 0-0, 0-1, 1-1, 2-1, 3-3, 8-3, 12-4, 14-5, SLUDGE win 15-9 vs Pignition. 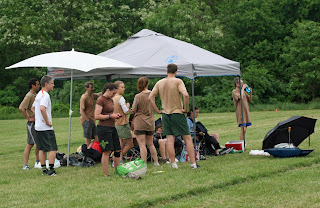 Sludge's post-season offense started with efficiency - goals by Rachel & by Chris, plus scores thrown by Nigel & Brian. Jen caught the 8th point to go into half; 8-3. The inclement weather of mist seemed to aid the Sludge zone which forced many throws. Sludge went on a 4-point run with scores from Charlie to Sarah & to Rachel, Brian's hammer to Joe, Andrew’s hammer to Russ. At 14-5, brown's lead started slipping like a forehand with a wet hand. After surviving a 4-point run by Pignition, Michael threw the winning score; win 15-9. 0-0, 1-0, 4-2, 4-8, 8-8, 8-12, 9-12, SLUDGE loss 9-15 vs Sundays at Six. Once the new Rachel+Michael H wedding disc was deemed an unsuitable umbrella, Andrew's grey canopy tent was welcomed. Sludge hurriedly moved into the tent like it was the first day of OBX. The pull on the first point was dropped, so Sludge easily scored; 1-0. 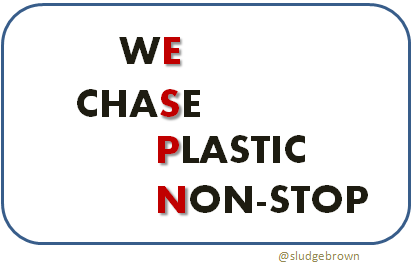 The first half of the first half went Sludge's way until Sundays at Six scored seven straight; 4-8. The precipitation finally stopped around mid-game as Sludge started to close the gap with the next 4 points to start the second half; 8-8. 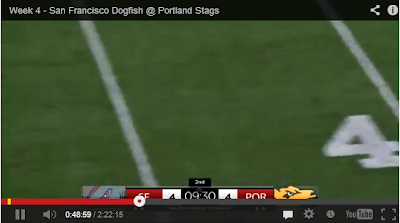 Brian's (in-bounds) layout along the endzone's sideline capped off the Sludge use of a horizontal offense. Sundays tightened their defense and countered with their own run; 8-12. Loss 9-15. 0-0, 3-0, 3-1, 4-2, 7-2, 8-4, 8-9, 9s, 9-11, 14-11, SLUDGE win 15-13 vs Huckin' Justice. 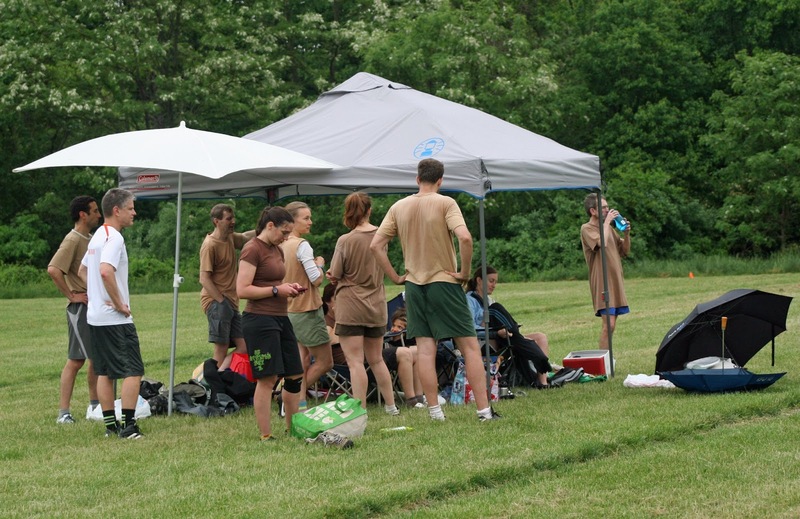 Sludge carried their newest team member, TC (tent canopy), to the adjacent field to play the last game of the day. Up 3-0, Sludge dictated pace with their defense anchored by Steve. Brian's cross-field huck was caught by Andrew on his knees; 4-1. A few points later, Christy slid to snag a throw from Russ; 7-2. After halftime, Huckin' Justice started to close the gap with a crash-the-cup offense; 8-9. Sludge's switch to person defense also resuscitated their offense - Charlie's backhand to Joe; Michael's one-handed score thrown by Andrew, Rachel's backhand to Christy; 14-11. At 14-13, Sludge nicely worked the disc up the field with no turnovers. Sarah finished the game with a flick to Rachel who toed the endzone sideline. Win 15-13. The fifth full weekend of professional Ultimate games continues. Only ten scheduled games with a lone Sunday AUDL match. Betting lines - the spread & points total (Over/Under) - for professional Ultimate are for entertainment purposes only. A MLU-AUDL merger was mentioned in December and recently discussed by Ultiworld. More pro Ultimate is great, but having 2 pro Ultimate leagues can sure be confusing. Yes, it seems to help keep each league competitive (as a business), yet not being unified may be detrimental to advancing the sport. 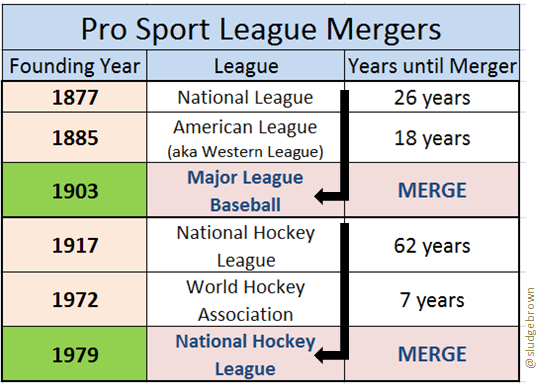 Sports league mergers have happened in all the major sports. 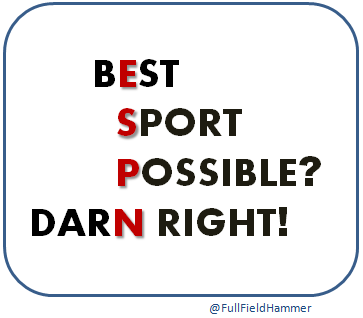 Not to mention some of the failed rival sports leagues. 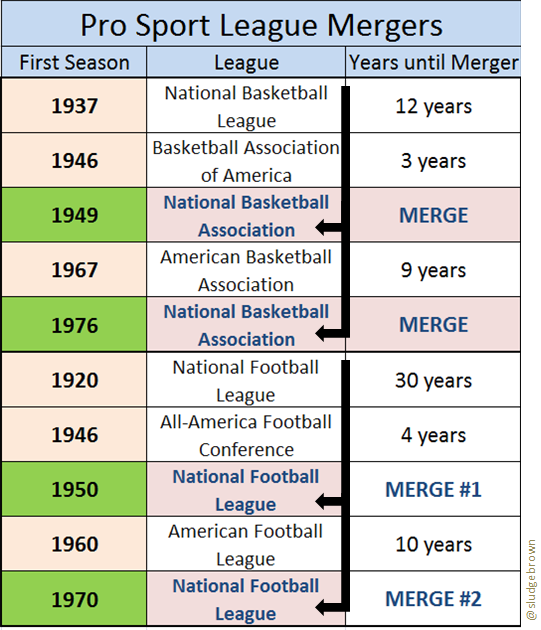 There have been 6 instances where a competing league actually merged to continue as an expanded league. The average length of time concurrent leagues existed = 8.5 years. Major League Ultimate's DC team - the Current - have recently been on SportsCenter's Top 10 Plays; not once, but twice thrice four times. And both all three four times, they were on the losing end of the featured SCtop10 play. Watch higher quality video of same play. On its May 21st broadcast, the play featured a layout by a New York player (Lucas Murphy) catching an upline throw for the score. [Was #8 play]. 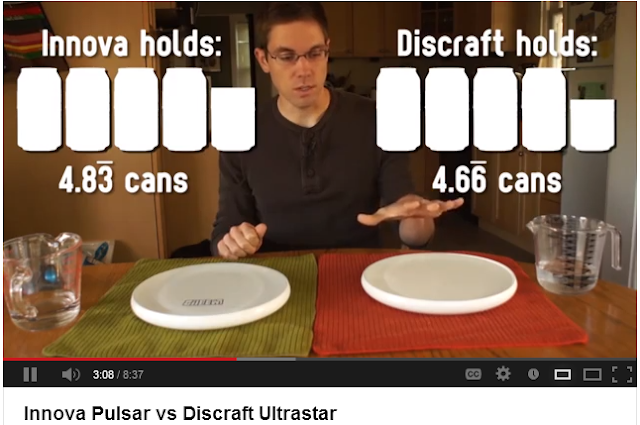 Watch high quality video of play. On its June 10th broadcast, the play featured New York's player (#18 Jody Avirgan) catch a dramatic score after it was swatted by DC's player. Gaining a few hundredths of a second may be the difference between getting a finger on the disc and being a fingernail short in Ultimate. Personalized spike plates, the treads on the bottom of cleats, may be the next must-have athletic gear. New Balance has not yet made this traction technology available for all consumers, but I'm sure Ultimate players would jump (or layout) at the chance when NB does! At first glance, the 4:01.44 indoor mile that Jack Bolas ran in New York doesn't seem like that big a deal. But the real story wasn't his fourth-place finish; instead, it was the fact the four-time All-American was the first professional athlete to run a race in 3-D printed equipment. Specifically, the spike plates on the shoes Bolas wore in January were created by New Balance after a long research-and-development process focused on ensuring the shoes met his individual needs. "I always wondered what it would be like to have custom shoes," says Bolas. "They gave me a much more natural feel, with a perfect balance between the flex of the sole and still the responsiveness of a stiffer plate." The process started by putting Bolas into shoes wired with sensors to help New Balance designers understand how his foot interacts with the shoe. He also ran on tracks equipped with force plates that measured his impact with each stride. High-speed cameras added a detailed look at the interaction between his shoes and the track. Katherine Petrecca, manager of studio innovations at New Balance, says the data allows the shoe to be configured to match an athlete’s specific movements. "We can customize the orientation and size of the plastic cleats and the number and location of the metal spikes based on the data," she says. The spike plates are printed using an SLS machine, then mated to a standard upper. Bolas tested several variations before choosing the model he wore in the race. The possibilities for easy customization are nearly endless. Previously, a custom spike plate required an expensive injection molding process, but with the 3-D printers, the speed of production is much faster and the cost is slashed. Because it’s so much easier, runners can choose different designs based on their strategy for a particular race. "If you're going to rely on a strong finishing kick, that means having lots of traction for running up on your toes at the end," says Petrecca. New Balance isn't offering the technology to consumers yet, but it's possible that the company might one day be able to print custom midsoles that are tailored to a runner's weight, running style and cushioning preference. The company has even tested a model that is completely 3-D printed, with no traditional cloth upper. For New Balance CEO Robert DeMartini, it's these consumer applications that are most intriguing. "3-D printing unlocks an entirely new level of design, allowing us to elevate design within the company to ensure we bring consumers the best in both performance and design," he says. Can you Find the Portland Stag? While watching week 4's SF Dogfish vs Portland Stags match, I developed a game called "Find the Portland Stag" where you're challenged to determine if that green color is a uniformed Stags player or a piece of turf. Good Luck! 1) Look at each screenshot. 2) Count how many Stags player(s) you can find. Only 10 pro ultimate games this past weekend (May 11-12) due to the first cancellations of the season. 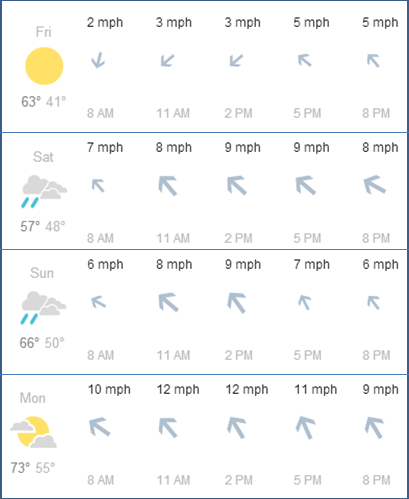 Each league had one cancelled game due to weather - Hammerheads @ Phoenix (AUDL); Rumble @ Current (MLU). 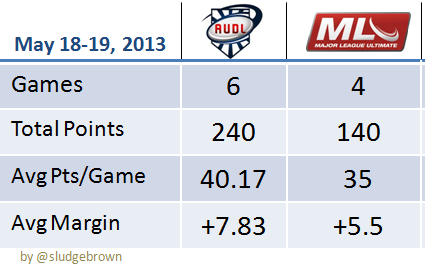 This is the first time the average-points-per-game is higher in the MLU than the AUDL. Compare to last week. 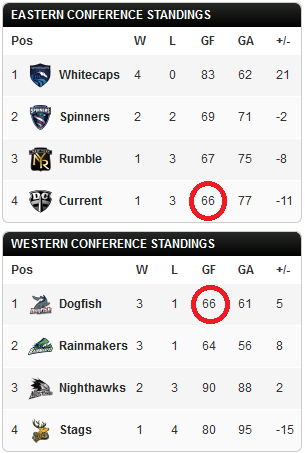 In the MLU, there are 2 teams with 66 total scores - one is in first place; the other, in last. [San Fran = 1st; DC = last]. 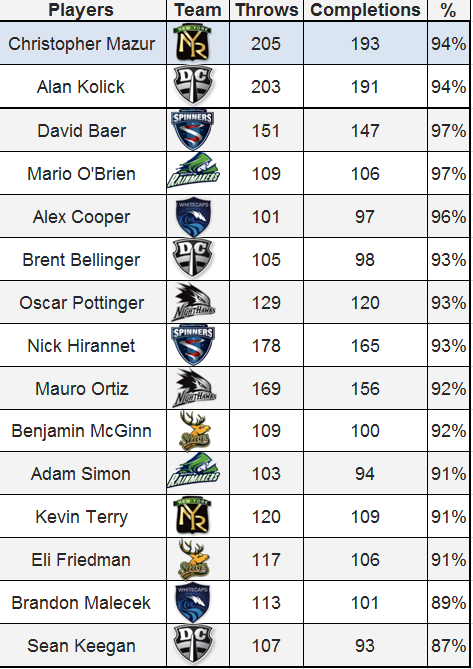 Two MLU players have 200+ throws, and both have an incredible 94% completion rate! There are thirteen (13) players who have have 100+ throws. 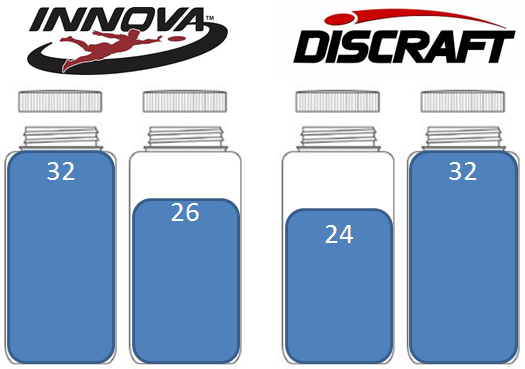 All teams are represented twice except for DC Current (3 times), and SF Dogfish (none). 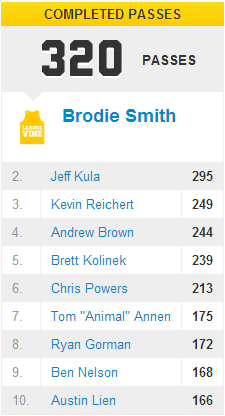 Based on currently provided data which may or may not be update-to-date, Brodie Smith (Wildfire) and Jeff Kula (Revolution) are the only 300+ throwers in the AUDL. Bob Liu (Wildfire) leads the AUDL in pass completion at 96.5% of the 34 AUDL players who have thrown at least 100 passes. It's very likely that the Penultimate game will carryover into the Ultimate game time. 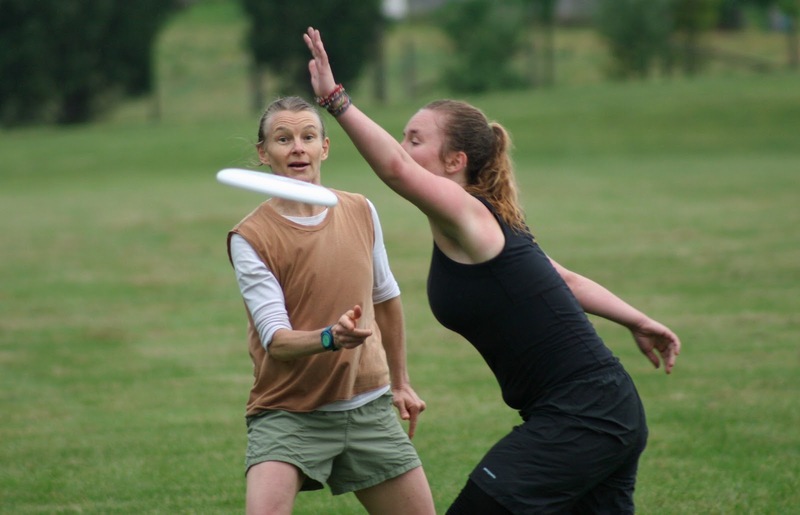 The fourth full weekend of professional Ultimate games continues. The MLU's Eastern Division starts back-to-back games, AUDL rematches and seven games on Mother's Day. Betting lines - the spread & points total (Over/Under) - for professional Ultimate are for entertainment purposes only. There were 12 pro games this past weekend (May 3-5). Compare to last week. NOTE: AUDL games have 12-minute quarters; MLU games have 10-minute quarters. [AUDL] Only one road team in the AUDL won - Cincy Revolution. [MLU] Each conference has 1 undefeated team & 1 winless team. 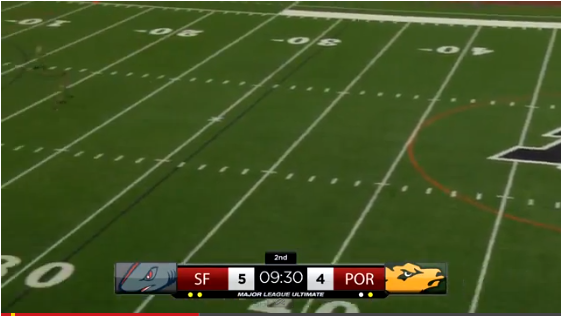 [MLU] 45 = highest combined scoring MLU game (Stags 21 vs Nighthawks 24).